At the age of 17, Kristof Brandl, an emerging Director and DOP from Montreal, found himself immersed in the world of cinematography as a result of his successful first short-film, ‘Pop Le Cheval’. On that same film he made his directorial debut, which lead to numerous other visually poetic projects around the world. 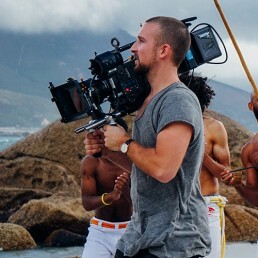 Always in search of unique images, Kristof is greatly inspired by foreign locations, which can be seen in many of his music videos and short films. He takes pleasure in transforming small projects into great adventures, and is always in search of the best visuals possible.